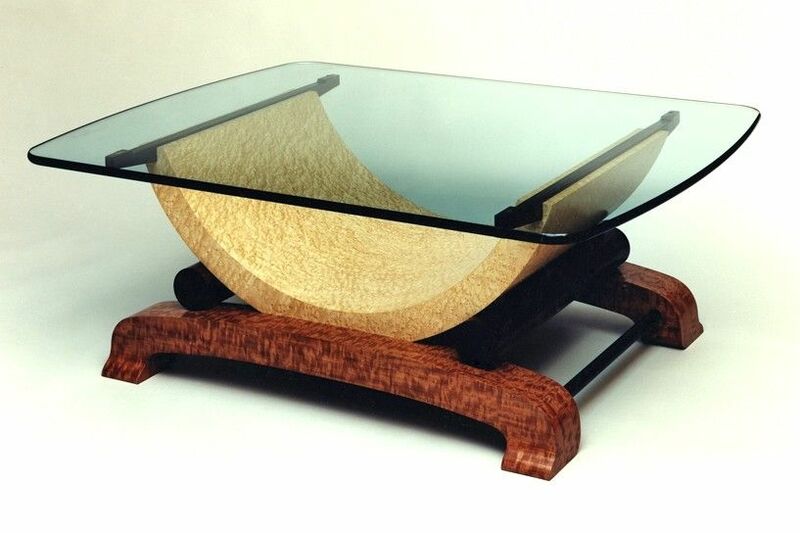 Contemporary coffee table veneered in birds-eye maple, mottled makore, and rosewood. Glass top. Dimensions: Approximately 54" long, 42" wide, 18" high.